What is the ultimate luxury? To me, this is not a matter of price but rather of exclusivity, knowing that I don’t own the same shoes, bag, car or accessories as my neighbor. Having something unique is, to me, what best defines luxury, as I’m sure that what I own is my proper creation and that I’m not sharing it. However, to all nice story there’s a negative side: price. Exclusivity is expensive. What about watches? 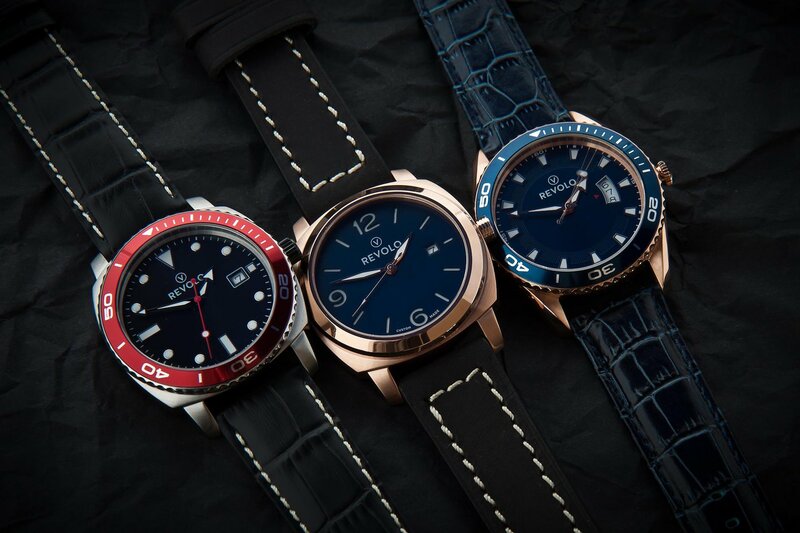 Not that easy to entirely customize a watch. Well, for those who want unique AND affordable, we just found this solution: Objest Automatic, an affordable, contemporary, entirely customizable Swiss Watch – launched on Kickstarter now. 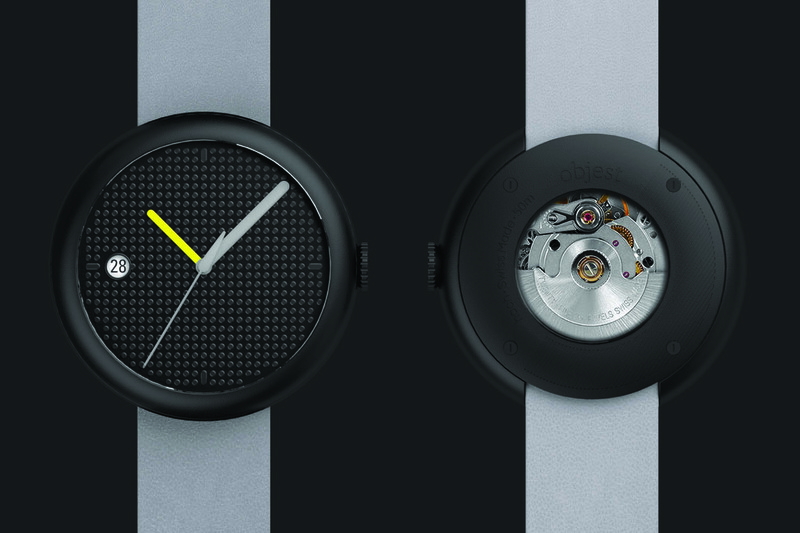 After a first edition of this concept with a quartz movement – definitely not for us here, at Monochrome – the young startup Objest comes back with the same design and customization wish, but now with mechanical movement – and Swiss made, not a Japanese engine – that’s more for us… Inside the case is a Swiss ETA 2824-2 movement, so-to-say, a workhorse, well known, reliable, precise and easily serviceable. No worries to have here, it’s made to last for the coming generations. 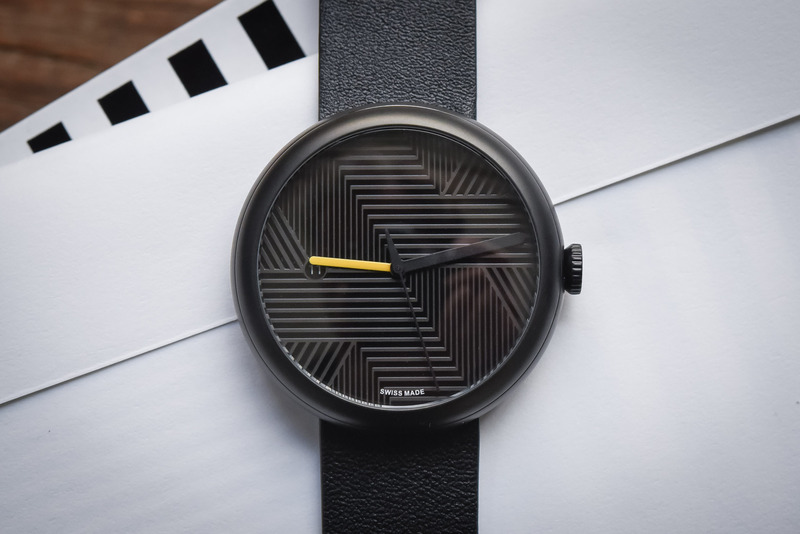 So now that we know that this watch underwent our drastic selection process (yes, we have rules here at Monochrome), let’s talk about the main point of interest: the design of the the Objest Automatic watches. 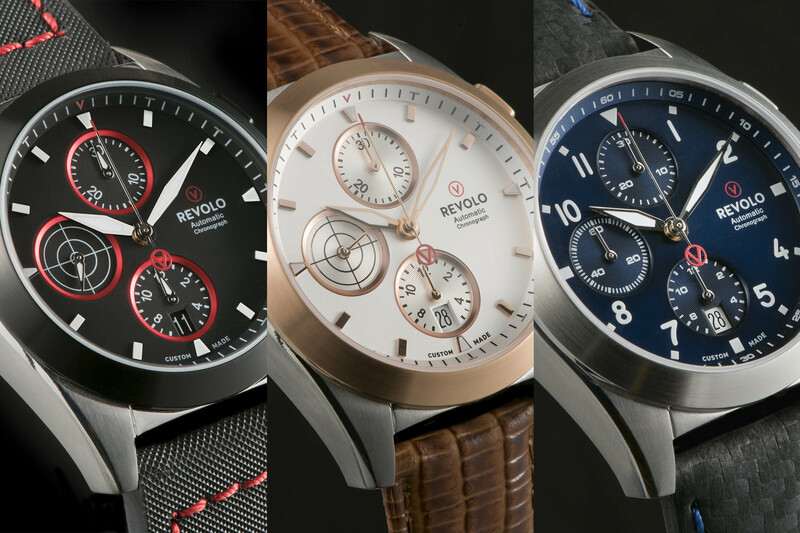 There’s something extremely contemporary in these timepieces, something that is closer from the world of product design than from the traditional codes of watchmaking. Luxury in watches still too often means opulence, at least for Swiss brands. Here, Objest pushes the concept of minimalistic to its pinnacle. 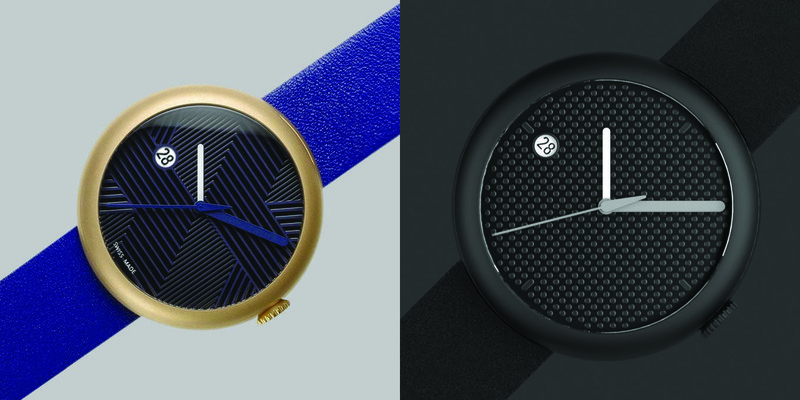 There’s clearly the influence of modern design in this watch, just like an iPhone or Bang & Olufsen speakers, and just like Ikepod or Ochs und Junior watches before, but in a completely different price segment. The case is a perfectly round and smooth stainless steel pebble measuring 42mm x 11.5mm, just disturbed by the necessary crown to wind the movement and adjust the time. The strap, to follow this minimalistic approach, has a concealed attachment system, underneath the case, without traditional lugs. Finally, the straps are plain simple leather bands, without stitching. Our only regret would be the date window, which feels strange in this extremely simplified design. Its removal would even emphasize the concept – even if the disc can be ordered in black, for a better integration. 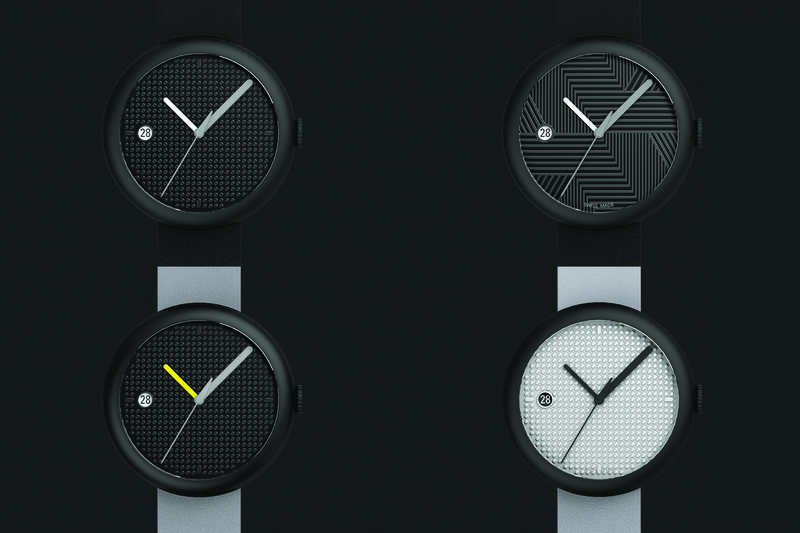 If this watch already breaks the codes in terms of design, its mainly with something else that the concept pleases us: customization. In fact, every single visual part of the watch can be chosen by the future owner, in order to create the watch that perfectly fits his expectations. 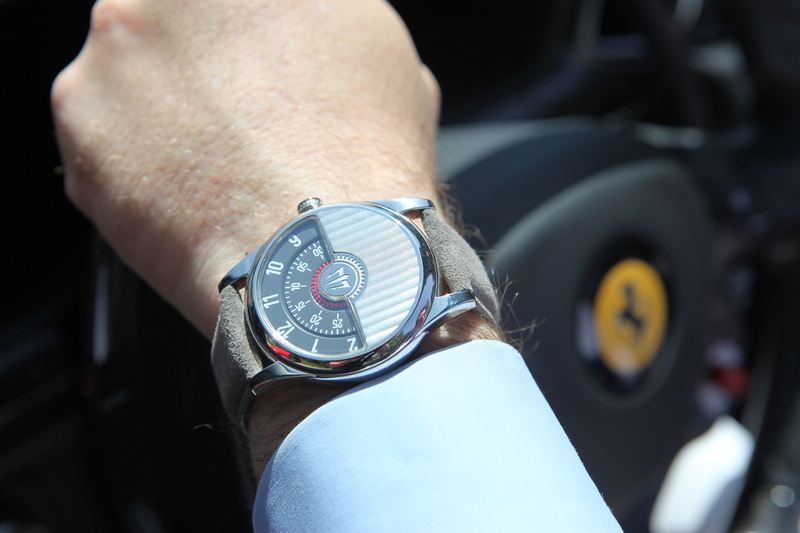 The Objest Automatic watches have to be considered as a playing field for creation. What can you cutomize? 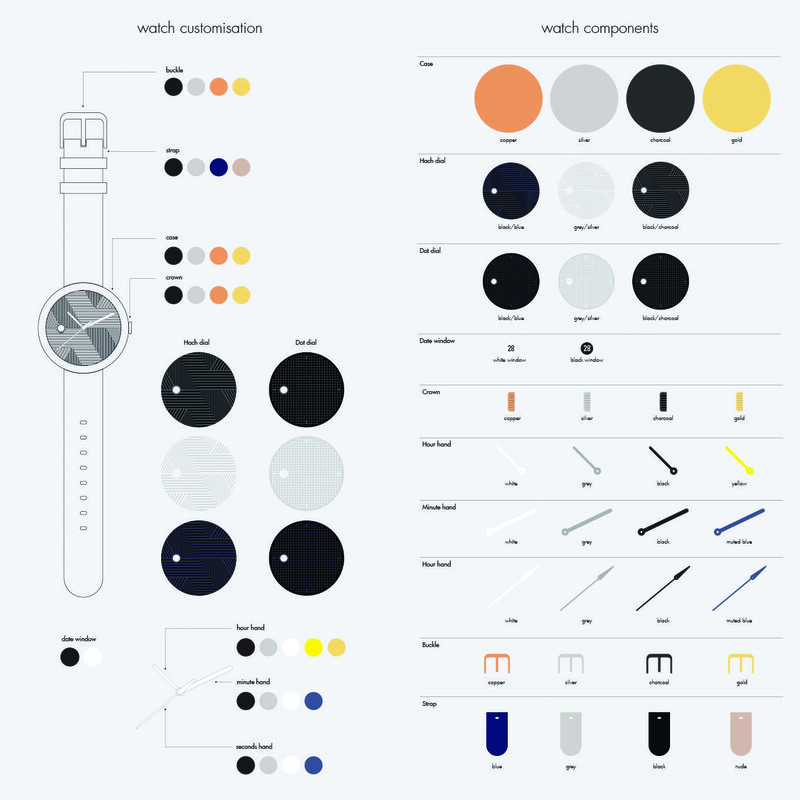 Now, just for the fun of it, we just calculated how many combinations were possible… and it’s potentially 245,760 different watches that could be created. Let’s agree that if you see someone else with the exact same Objest watch on the wrist, you must run to play to the national lottery! Jokes apart, the idea of such a customization, in a price segment that low is totally unthinkable… but real! 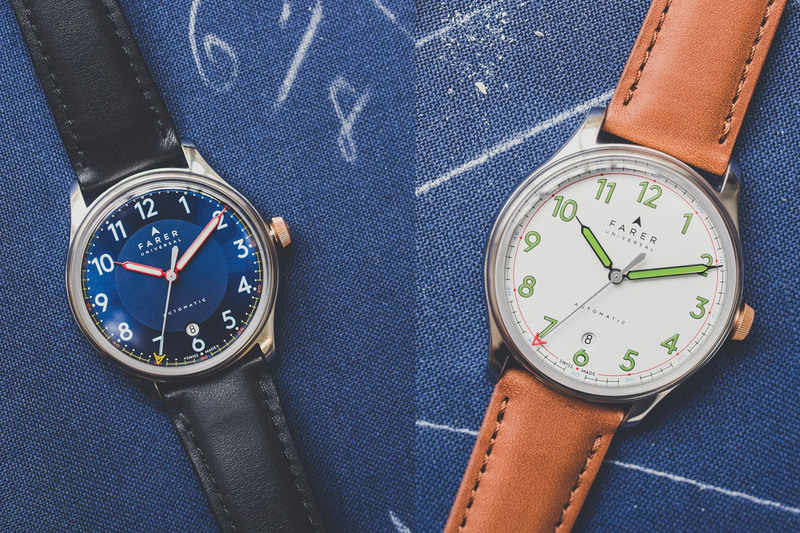 Of course, you have to stick to pre-defined options – customize a watch from scratch would mean completely different investments and production prices – but what Objest does is already great (and some Old Maison in Switzerland should definitely take inspiration here). Now we leave to you the options and the final decision. What you have to know is that the Kickstarter campaign has just started and that prices go from £290 (for the earliest subscribers and without access to gold components) to £519 (with access to gold components). Final retail price once the campaign will be over will be £699. 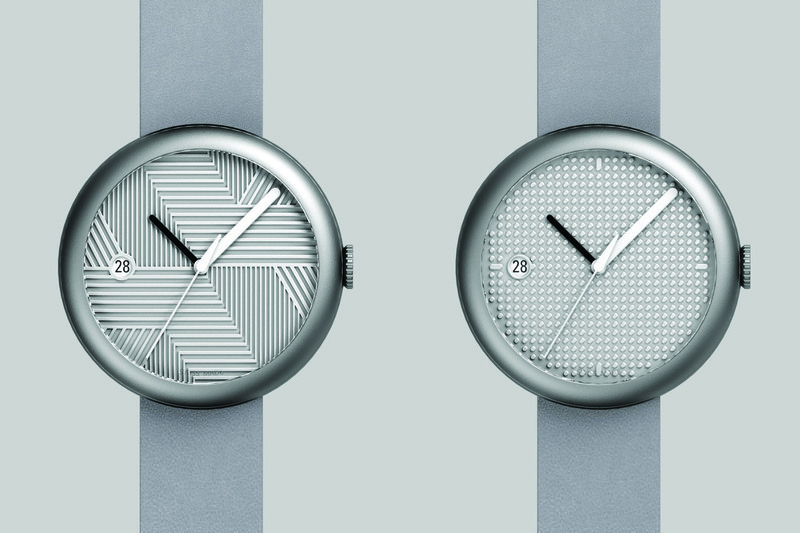 Still, quite an interesting price for a customizable watch with Swiss ETA movement. Be fast, the campaign ends mi-october and deliveries are expected in February 2017. Kickstarter.